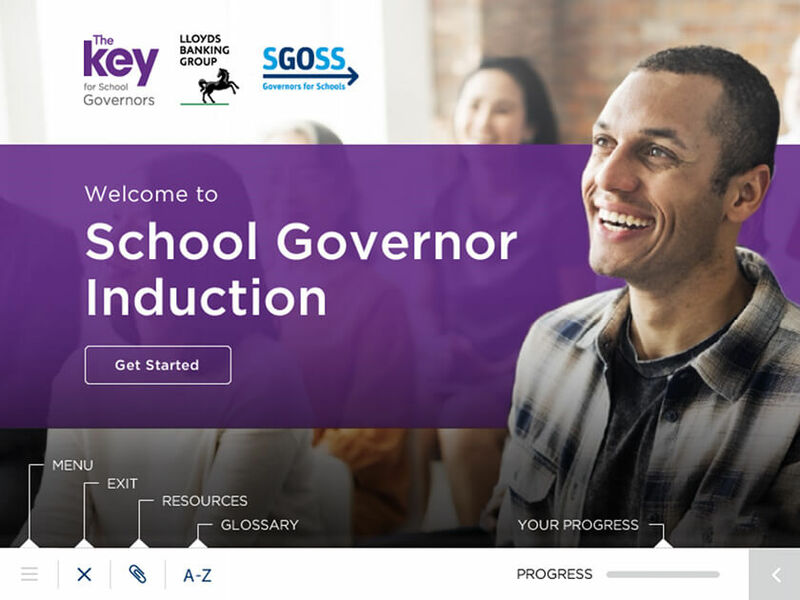 Governors for Schools is working with a number of organisations to develop a suite of e-Learning modules for new school governors. We want to ensure new governors have the knowledge and understanding they need to make a positive impact on educational outcomes from their first day. The modules cover key contextual knowledge along with guidance on how to provide effective support and challenge to school leadership teams. They are useful to all school governance roles, whether you are a trustee, maintained school governor or sit on a local governing body. The modules are free to use and anyone can access them by completing a short registration process. You don’t need to be a current school governor. Once registered, you can complete the modules in your own time – your progress through the modules will be saved and you can begin from where you left off. Each module should take around one hour to complete. Select a module below to get started. Please note you will need to register your details with us in order to access the modules. Please click here to register as an e-Learning user. Multi-academy trusts provides governors with an introduction to leadership and governance in these types of education organisation. 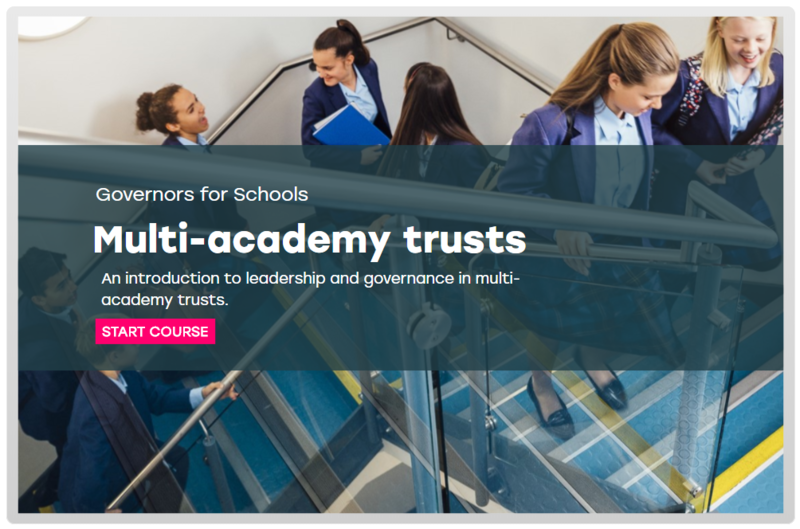 It looks at the key characteristics of multi-academy trusts, how they are structured, and the roles of the trustees and local governors. It explores government policy towards multi-academy trusts and the various operating strategies that multi-academy trusts might adopt. It also looks at how existing schools might form or join a multi-academy trust. Employability and work-related learning will provide governors and trustees with an introduction to their school’s role in preparing, advising and inspiring pupils ahead of their entry into the world of work. It will also look at why work-related learning and employability matters, what it looks like in different phases of education, and what makes for effective practice. 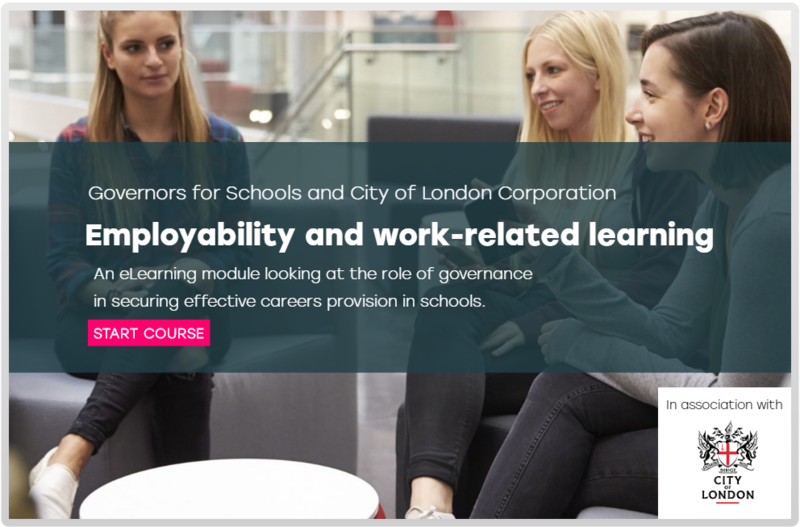 The eLearning module will ensure that governing boards are well placed in delivering on this crucial aspect of the government’s careers strategy. 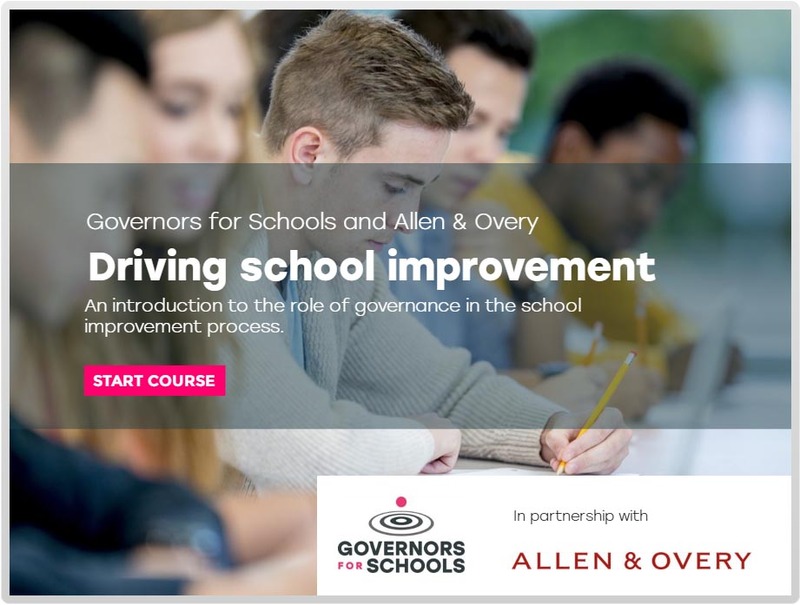 Driving School Improvement covers the role of governors in the school improvement process. It looks at setting a clear and compelling vision for the future, ensuring effective self-evaluation is taking place, and approving and monitoring clear and costed plans for improvement. Governor induction provides a comprehensive introduction to the school governor role. It looks at the core responsibilities of governors and some of the key activities that they carry out. It includes sections on how governors can make a positive impact, learn more about their school, and prepare for their first meeting. 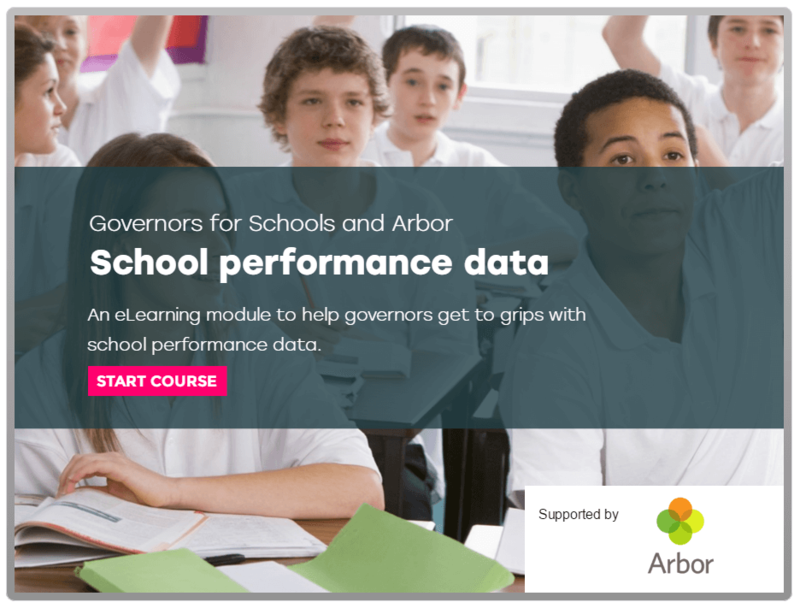 Performance data for new governors covers the key metrics and measures governors need to understand in order to provide effective oversight of pupil and school performance. It focuses on the key types of data governors need to be able to interpret, how to interrogate data to provide support and challenge to the school leadership, and how to investigate performance more closely by benchmarking against other schools. 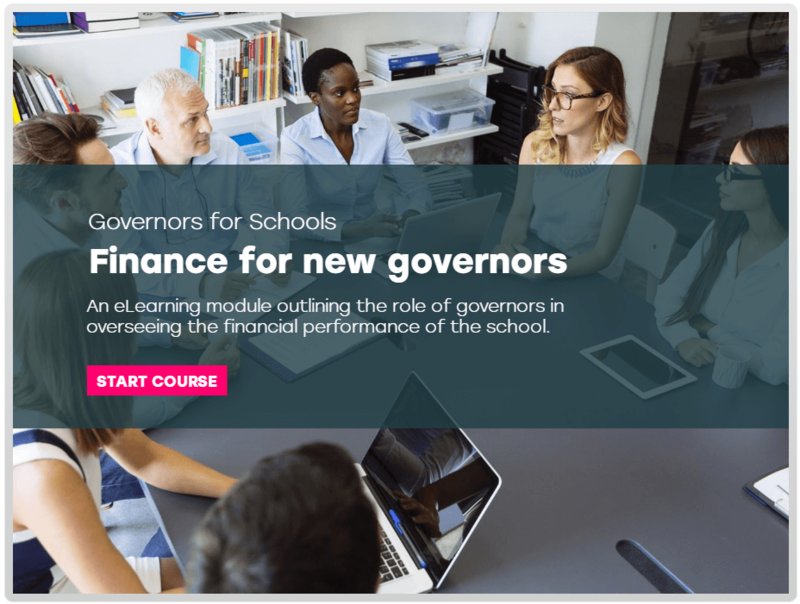 Finance for new governors covers the key principles of the schools financial framework, including the funding system and accountability framework. It also focuses on the key principles of effective financial management, including the development of a financial strategy, budget monitoring, internal controls and value for money.